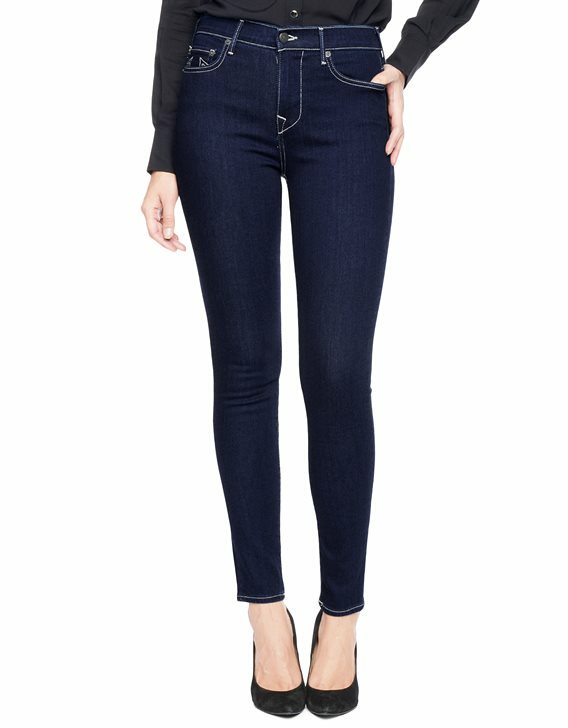 When the fad of low rise designer jeans for women came out I just couldn’t wrap my head around what all the big hype was about. I mean, even if you have the perfect hourglass figure they still tend to slide down when you bend, sit or squat— exposing your undergarments to the whole world. I don’t know about you but I’m not the kind of girl that shares her private things with strangers. haha! I’m no prude by any means but, well, they ARE called underwear for a reason…. because they were meant to be just that— underneath your other clothing and that’s where I want mine to stay. I can still remember trying on my first pair of low rise jeans and although the fit wasn’t bad I had no idea what I was in for (after making my purchase). Ugh, what a pain. I quickly grew tired of having to pull up and tug on my jeans to keep them from exposing my derriere. I can only imagine what passersby were thinking when they saw me doing the “jiggle dance”. Hopefully they didn’t think I was actually doing the potty dance. haha! It’s because of this embarrassment that I was extremely excited and relieved when I found Halle High Rise Super Skinny Jeans at True Religion. Oh my goodness, and they’re skinny jeans no less— my absolute favorite style. I love that they hug my body yet don’t make me feel suffocated and they’re high enough above my waist to stay put at all times. Awesome! The funny thing about today’s high rise jeans is that back in the 80’s this was the norm. You didn’t find pants that sat below the belly button. Yet they weren’t called high rise at all. Now, if you don’t have a thin, flat waistline and tummy, it doesn’t really matter because these jeans will still make you look fabulous without lacking style. And guess what, you won’t have that muffin top because you’re all tucked inside your jeans, not flowing out the top. Just a few years ago (because of the lack of higher rising womens jeans) I was afraid I would need to go on a starvation diet to maintain a waist that was good enough for low rise jeans, and maybe even buy a pair of suspenders just to keep them up. But, now that clothing manufacturers are bringing back high rise denim jeans I’m breathing easier and my pants are right where I want them to be. This post was sponsored by True Religion Apparel. 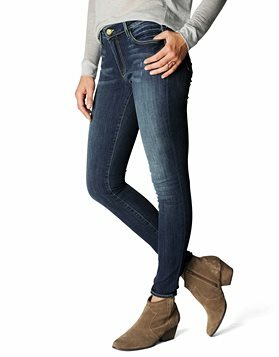 True Religion which is headquartered in California, was founded in 2002 by Jeffrey Lubell with the intention of redefining premium denim through an emphasis on fit, quality and style. Don’t Get Cold Feet! Get Heat Holders Thermal Socks! I for some reason don’t like the skinny jeans either but I do like the high rise. If they made these jeans in boot cut I’d be in seventh heaven!